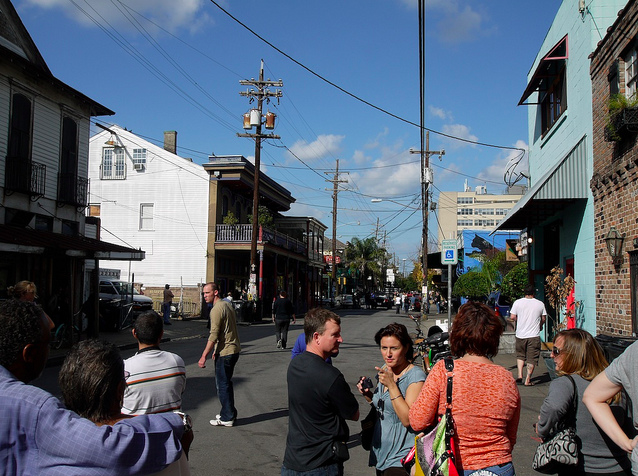 New Orleans' gentrification story involves a matrix of race, class and birthplace. It’s a well-known fact that behind New Orleans’ sunny story of rebuilding and revitalizing is a tale of a whitening city: Before Hurricane Katrina, the city was 67 percent African American; now that number hovers around 60. But the story isn’t so, well, black and white. As Ingrid Norton pointed out in GOOD last year, young, educated, black entrepreneurs are moving to New Orleans, too. That still makes them gentrifiers, in the cultural and economic sense, but their race affects the way they’re received by their new neighbors. Bryan Lee, Jr., a 28-year-old architect, moved to New Orleans from New Jersey in 2011. With his day jobs and side hustles, he makes a mid-to-high five-figure salary. He lives in Central City, a community that’s gentrifying—it kisses the border of the much more affluent Lower Garden District—but it’s also far behind the development of the Marigny and the Bywater. By anyone’s judgment, Lee is a gentrifier. But he’s also black and the vice president of the Louisiana chapter of the National Organization of Minority Architects—hardly the type of outsider Brown describes. When I ask what it’s like being a reason why the rents in his neighborhood are rising, he admits he feels “a little weird about it. I don’t want to be a proponent of pushing people out of their communities.” But Lee can’t deny that New Orleans natives react to his presence differently. Six months ago, he was out working at a job site when a local black woman wandered onto the property barefoot and bleary-eyed, angry that the construction noise had awoken her. “Are you the foreman?” she demanded to know. When Lee confessed that he was an architect, she hugged him and didn’t let go. She repeated, “I’m just so proud of you, I’m just so proud of you,” over and over. Yet sometimes, even just having “transplant status” can trump prohibitive racial barriers that have traditionally plagued the city. A handful of natives I spoke with told me that employers seem to assume that locals of all colors are less excited, less educated, less…something. This realization is painful. Kezia Kamenetz, the New Orleanian I met last week, is white, and she told me that when she came home from Yale to get a job in the nonprofit sector, the preference for non-natives was crystal clear. Brown had planned to work at grassroots non-profits after school, too, but employers seemed to want visitors’ freshness rather than her extensive experience. Could New Orleans be the labor movement's next frontier? Read Nona Willis Aronowitz's report.